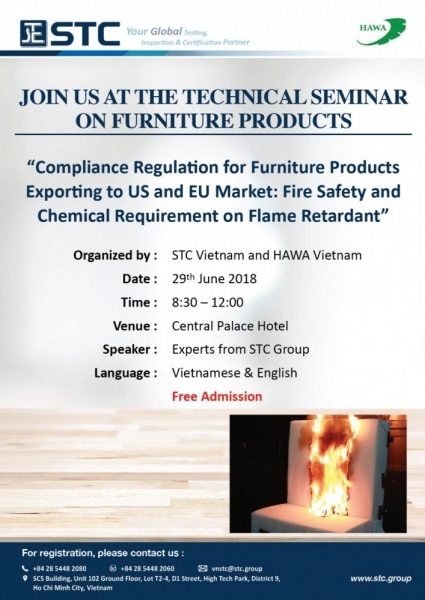 With the aim to support enterprises and manufacturers in acquiring deeper understanding of the compliance regulation of US and EU markets, and to enhance their competitiveness by improving product quality, STC Vietnam – a subsidiary of the STC Group – is in collaboration with Handicraft and Wood Industry Association – HAWA to hold the technical seminar: "Compliance Regulations for furniture products exporting to US and EU market: fire safety and chemical requirement on flame retardant" Throughout this seminar, experts from the STC group will share with you the latest fire safety regulations in US and EU markets as well as useful tips for furniture product testing and flame retardant treatment. 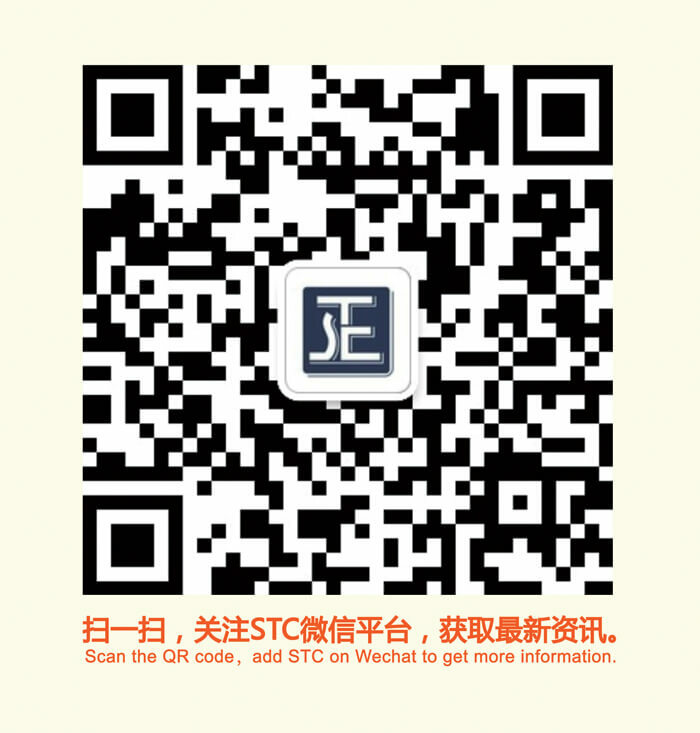 The seminar will also be a chance for those working in the furniture industry to meet with STC’s technical experts and get valuable advices. Date: 29th June 2018 Time: 08:30 to 11:30 am Venue: Diamond B Hall, 03rd Floor, Central Palace Hotel, 39 Nguyễn Trung Trực Street, Bến Thành Ward, District 1, Hồ Chí Minh City To register, please click here.